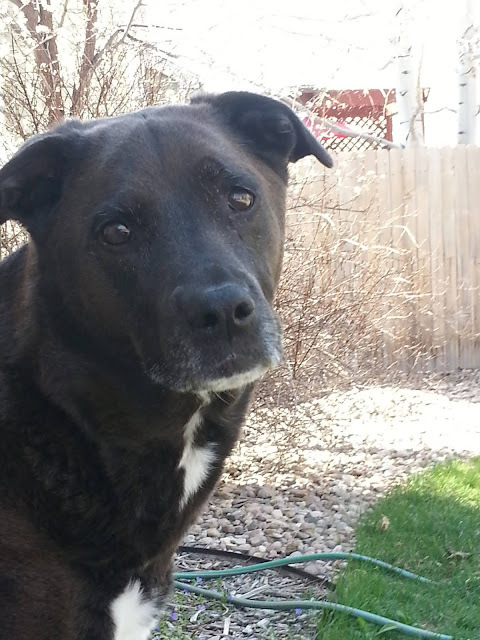 This past Monday we had to say goodbye to our eldest four-legged crew and family member Madison. 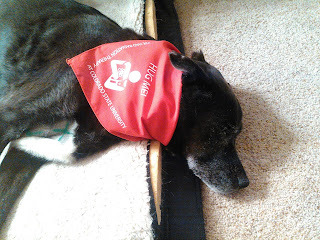 After her cancer diagnosis in August we knew this time would come but it still does little to prepare one for it. Madison entered our lives in 2004 when she was about 8 weeks old. 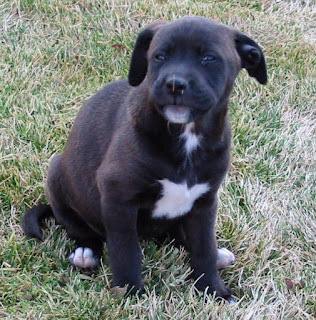 We adopted her from a local rescue and she has been a part of our family ever since. 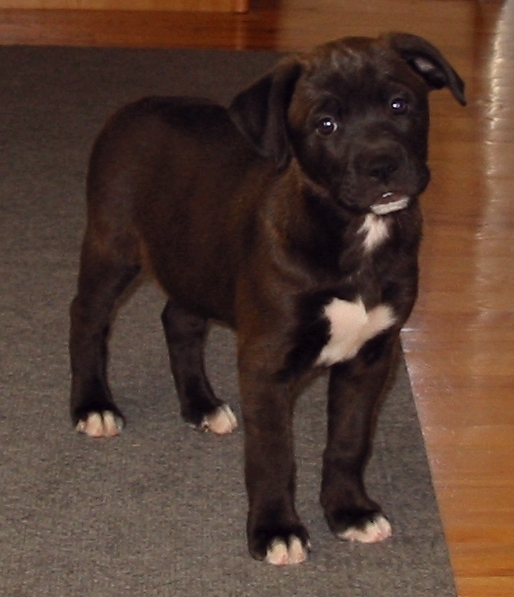 For 15 years, she was a wonderful, adventurous, smart, loyal, and occasionally mischievous companion. 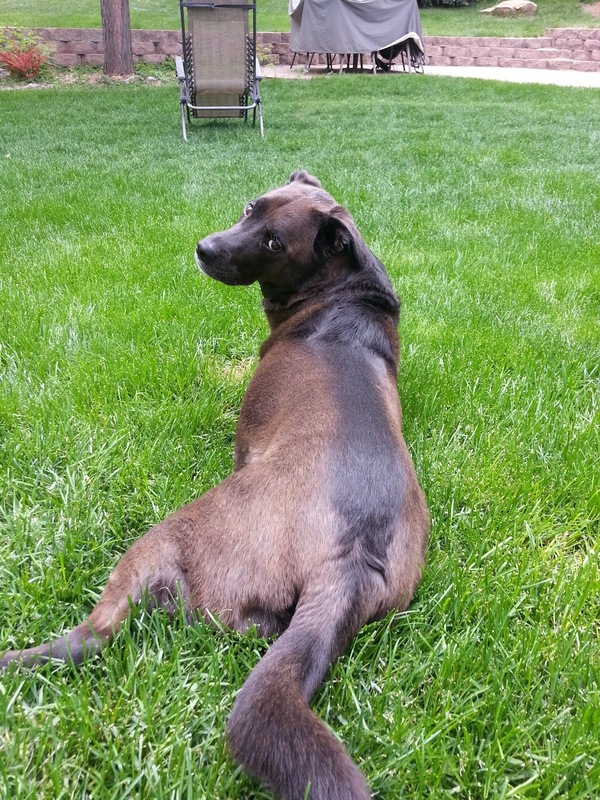 She enjoyed playing in the yard (including chasing cats and squirrels out of it), our daily walks when I worked from home, hiking in the mountains, camping, car rides, and food. 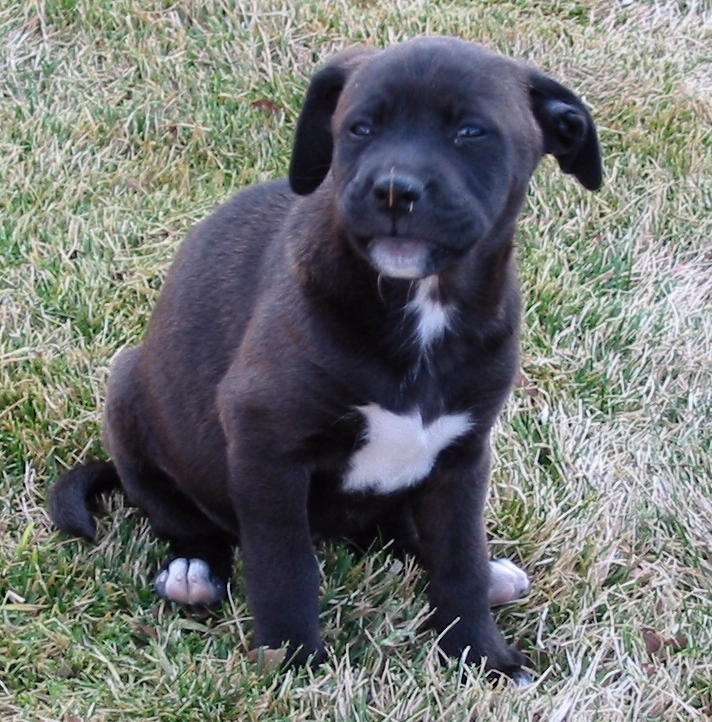 One vet once described her as the most food motivated dog they had ever known. It was an easy choice to cook special meals of steak and lamb for her the last few months. Cruising seemed like a natural fit for her. 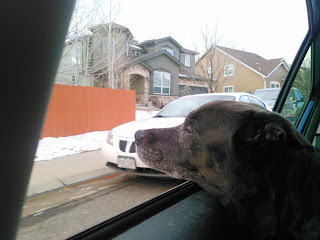 Getting to see new sights and smell new smells was something I know she liked. 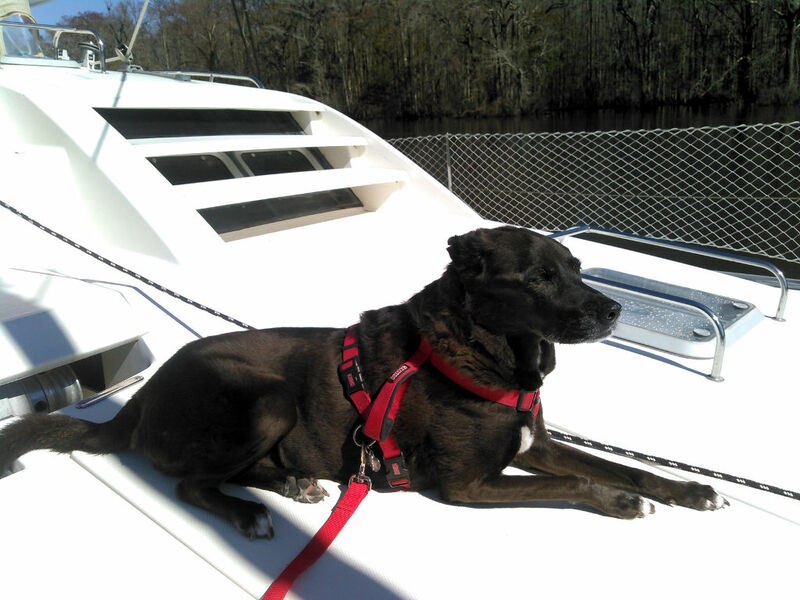 Being able to lay out on deck while the house moved to a new location was something she really seemed to enjoy. 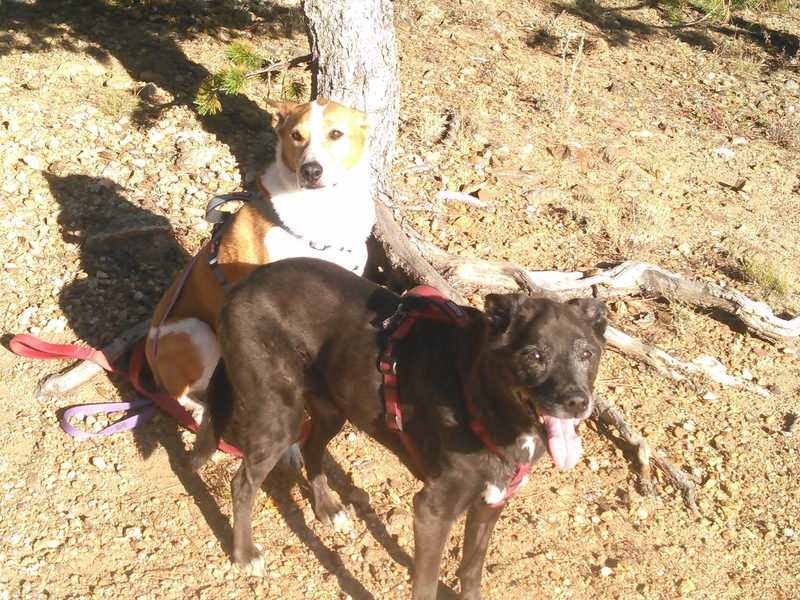 I guess it was like both laying in the yard and going for a car ride at the same time. Although she wasn't a big fan of water (or at least baths), she did like playing in the surf with her brother. 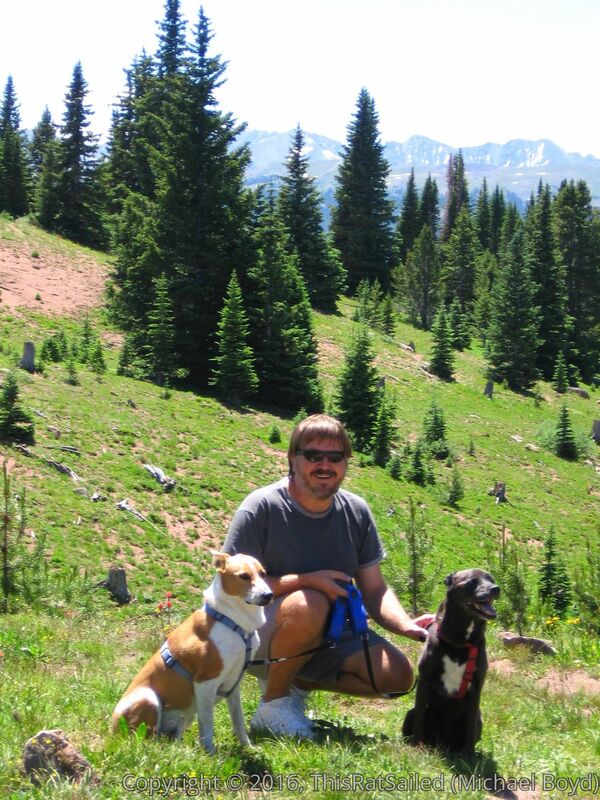 Having moved back to Colorado, we had access to one of the premier veterinary cancer centers at Colorado State University. While her cancer was found too late to cure, they were able to provide her comfort and make her last months with us more comfortable. 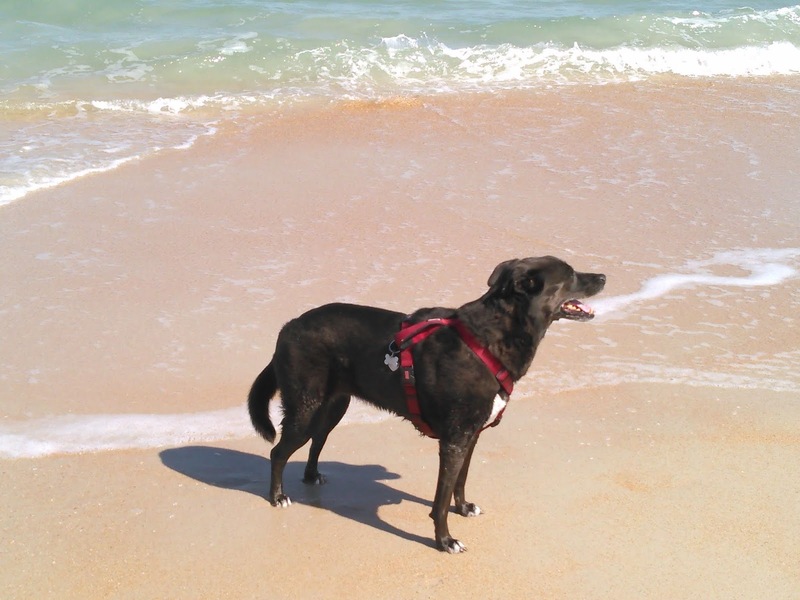 Thanks to their efforts in palliative radiation and chemotherapy treatments, she was able to go on one last family vacation, celebrate the holidays, and celebrate her 15th birthday with us. We are grateful to them for the added quality time we got to spend with her. In her final days, we took her on numerous car rides and walks. 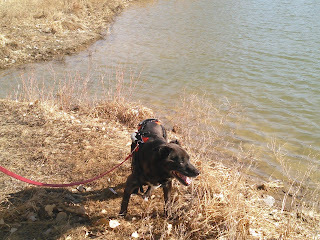 Unfortunately the cancer was making her legs hurt and her breathing difficult so the walks were slow and fairly short. 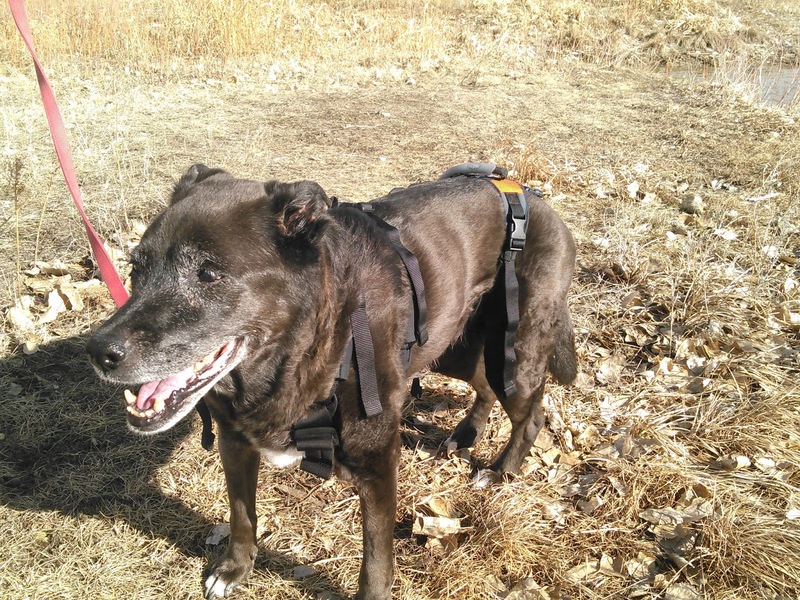 But, just like always, Madison was a determined and independent dog and she seemed to still enjoy checking things out despite her failing body. In the end she passed on at home surrounded by those who loved her most, her family. 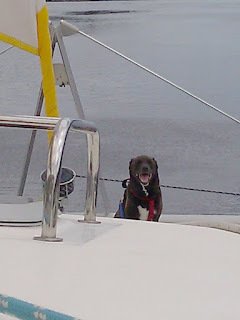 Fair winds and following seas my dear, sweet, crazy little girl. There is currently a storm of which most of my friends and the sailing community in general is aware. Hurricane Florence is expected to collide with North Carolina in the next couple days. Unfortunately Rover seems to be right in the middle of the predicted path and there is nothing we can really do about it that hasn't already been done. Sails and canvas were removed and extra dock lines were added when I left her several months ago. The caretaker we hired has added additional lines and fenders and done everything else possible to make her as safe as can be for the impending storm. The marina, and her location within the marina, are about as good as anyone can hope for anywhere in the area. At this point, all we can do now is wait and see what happens. My concern regarding this storm is more for the many friends I have made that will be impacted far worse than us by Florence. 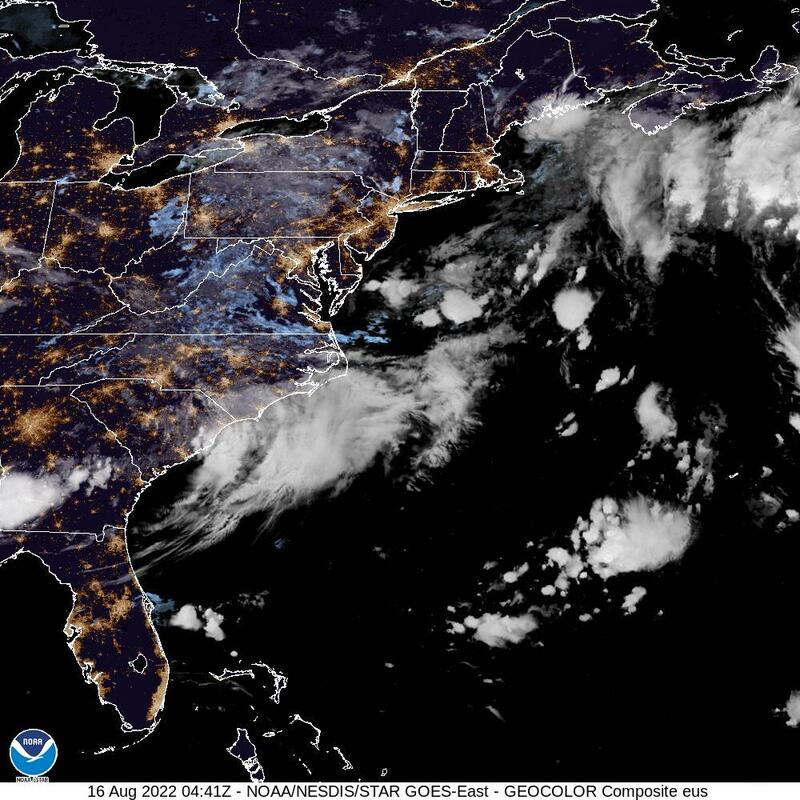 Hurricane Florence image from NOAA as it approaches the U.S. But, for our family, there is another storm on the horizon that is of much more concern. 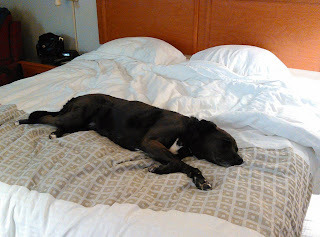 This storm is not a weather event at all, but has to do with the health of our eldest four-legged crew member. Madison sunning herself on deck. A couple months ago Madison developed a limp. At first we thought she might have just slept on her leg wrong or pulled a muscle playing. When it didn't get better, we took her to the vet to see what was going on. Initially they thought a soft tissue injury and so she was given some pain medications and we were told if it didn't get better in a few more days to let them know. It didn't. We went back. The vet thought it was arthritis. I pushed back as I didn't believe arthritis was such a sudden onset symptom when recent x-rays didn't show any arthritis. The doctor said the only thing they could really do was to send x-rays to a radiologist to see if they could see anything. 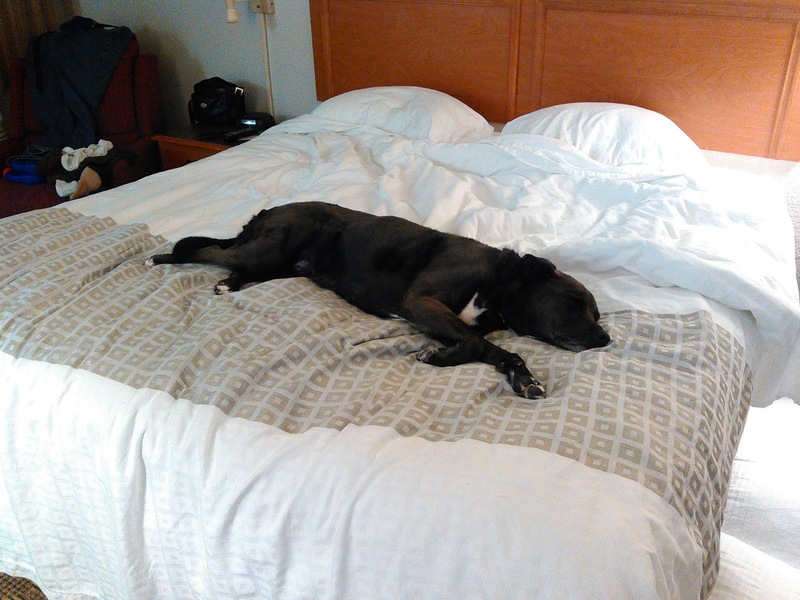 Her favorite hobby when a big bed is available. The radiologist report was not conclusive, but thought he saw something in her shoulder bone that would be consistent with cancer. More x-rays were done and in the process they found a tumor in her lung. 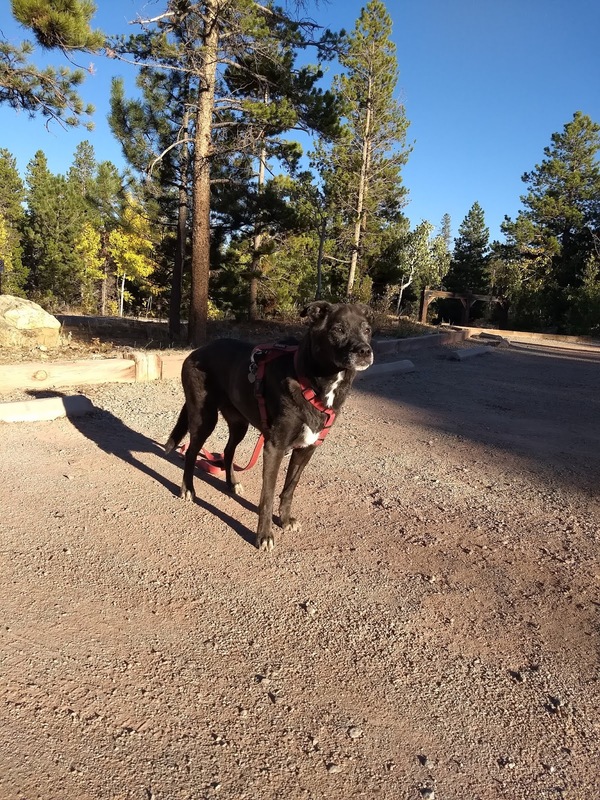 Not wanting to mess around and having one of the premier veterinary oncology centers nearby, we immediately made an appointment at the CSU Veterinary Hospital. More examinations and a CT scan later and we had our answers. Not only did she have osteocarcoma (bone cancer) but there were 8 tumors in her lungs. In the matter of a few weeks Madison went from "a very healthy dog, particularly for her age" to a terminal diagnosis. To try and and improve the quality of life for the time she has left, she has now had two radiation treatments and chemotherapy. 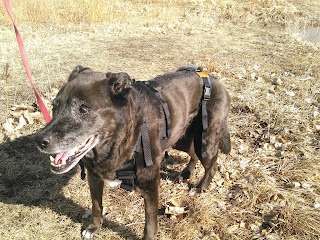 Other than a limp (that has improved with treatments and medication), she seems to be in good spirits. Her appetite certainly has not diminished and I don't know that she is at all aware of the seriousness of her condition. Meanwhile she gets lots of attention and some special treats. But there are dark clouds on the horizon. 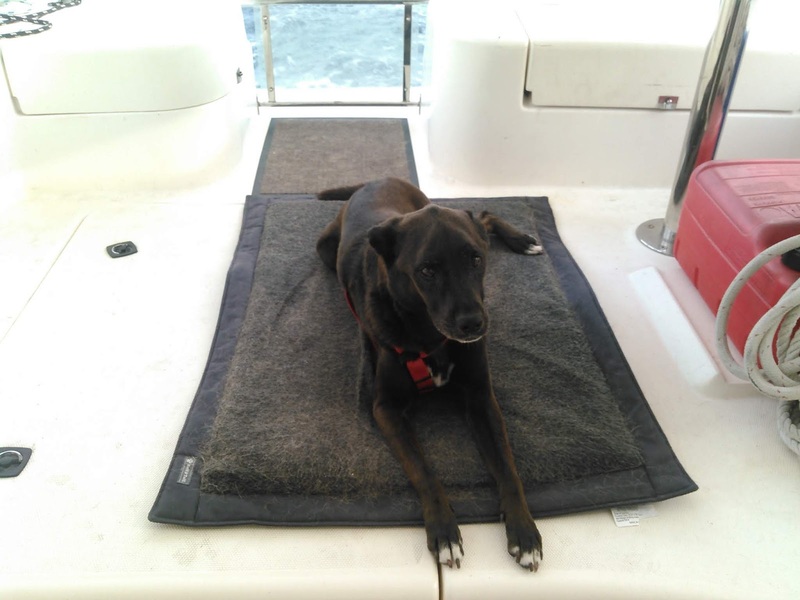 When I arrived at the boat back in January, I had a list of tasks I needed to accomplish and more that were discovered once on board. At this point all of them have been accomplished and the boat is once again in good cruising condition. One of the things that I didn't expect but found when I got to the boat was the extreme fading of the vinyl boat name graphic. After only four years, the name was nearly unreadable. How the boat name looked when I arrived. The interesting thing is that, while the name was almost completely faded, the hailing port lettering still looked fine. When I ordered the lettering, I had them add a UV protective film to the lettering and my first thought was that maybe they applied the UV film to the hailing port letters but forgot to apply it to the boat name. That would certainly account for the vast difference in the fading. I decided to contact the supplier of the vinyl lettering and ask them if this could have been the case. 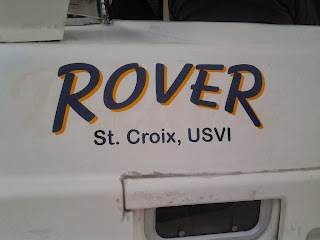 When they responded, they explained to me that, since my boat name lettering had a drop shadow of a different color, it was made differently than the single color hailing port lettering. The former is created by printing the colors onto a white vinyl substrate while the latter is made from a solid color vinyl. The printed vinyl seems to only have a 3 to 5 year lifespan in outdoor applications (even when the UV protection is applied) while the solid color vinyl can last much longer. So, if you are ever in the need of vinyl lettering for long-term outdoor use, this is something to keep in mind...less you experience the same result as I did. As an effort to make up for the confusion and my disappointment in the name lettering, they offered to send replacement lettering to me for half-off their normal price. When I told them that I didn't want a repeat experience, they said they could send me letters made from the solid color vinyl in both the primary and drop shadow colors. That way I could apply the drop shadow color letters and then apply the main color letters at an offset to get the same effect. For an additional fee they offered to align the two sets of letters onto a single application sheet to ease the complexity of the installation. Since the boat needs a readable name to be a legally documented US vessel, I decided to go ahead and order the two sets of lettering in hopes that their explanation was correct and the new lettering will last. I did not have them do the alignment. It only took a few days for the letters to arrive. While waiting, I removed the faded vinyl lettering using a plastic scraper and heat gun and then cleaned up the glue residue with Goo Gone and denatured alcohol. I made sure to protect the hailing port lettering as I didn't want to cause any problems with it. In order to get the alignment correct on the boat, I started by attempting to align the two sheets of lettering, using a flashlight to shine through the lettering and backing paper and used a ruler to measure the offset for the drop shadow. Once I got the alignment the way I wanted it, I used painters tape to hold the two sheets together. Then I used a variation of a sewing trick I learned and cut two V shaped indexing notches at the upper edge of the application sheets making sure the V was cut into both sheets but did not cut into the actual vinyl letters. By doing this, any time the two V's in the two sheets were aligned the letters would be properly aligned. At this point I could remove the painters tape knowing that I can easily realign the sheets of letters. 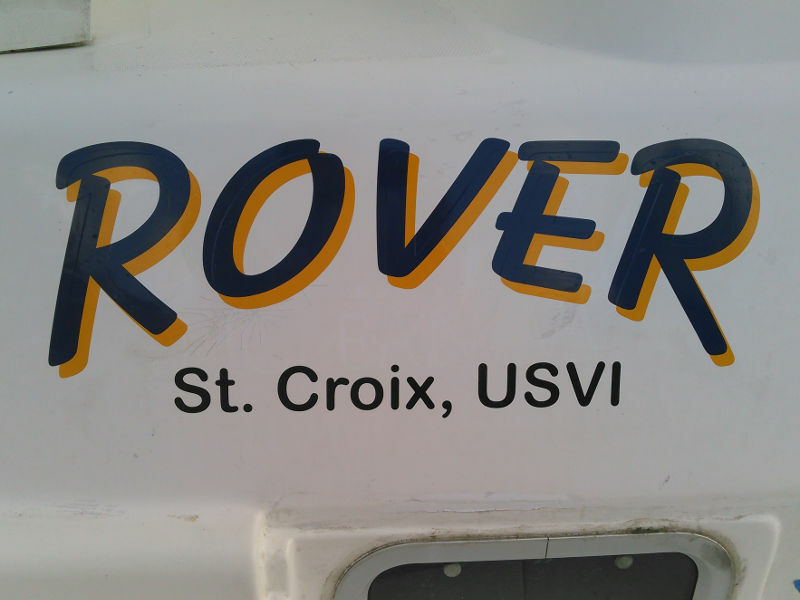 From there, I took the yellow letters out and taped them up to the boat, positioning as needed to center over the hailing port sticker while allowing for the slight shift to the lower right for the drop shadow effect. 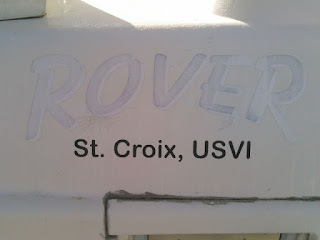 When I had the letters where I wanted them, I applied two small pieces of tape to the boat directly under the location of the V notches and traced the V into the tape. I then ran a strip of tape along the upper edge of the sheet of letters and applied them to the boat just as I did the last time. Once I smoothed out the letters as best I could, I removed the application sheet and the large strip of tape so only the yellow letters and the two marked V's remained. I then retrieved the set of blue letters, lined up the V notch with the ones traced onto the tape, and applied the blue letters over the yellow ones. Again I smoothed out the lettering with a squeegee and removed the application sheet and all the tape. The new lettering, using the two solid color sets of letters. The end result I think looks just as good as the original did when it was new. You can see the slight outline of the yellow letters underneath the blue ones, but you have to be very close to even notice. 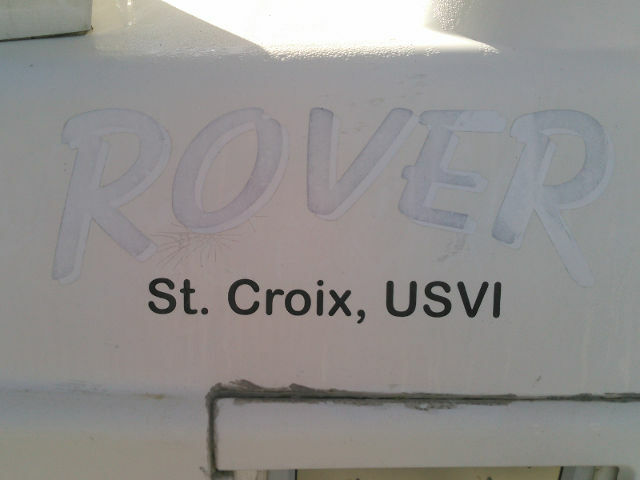 So, Rover once again has a shiny new name, hopefully this time the lettering will last. 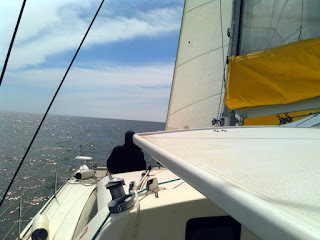 If you follow my Facebook page, you know that I finally managed to take the boat out for a sail over the weekend. But getting to that point was more time consuming and frustrating than I anticipated on this trip. One of the issues I had that needed to be addressed before I could move the boat was a broken motor mount bracket I discovered while servicing one of the motors. On the surface, it seemed to be a relatively simple repair. Remove two bolts to take out the isolator, then remove two more bolts to remove the bracket, bolt the replacement bracket in place, reinstall the isolator, and align the engine. Sounds easy enough. out for a day sail. I don my bilge rat clothes (sweat pants and a sweat shirt I use when crawling around in the engine room), grab some wire brushes and a socket set and make my way to the broken bracket. Leaning over the motor, I do my best to clean up the the bolts with the brushes, I remove the isolator with very little trouble. I then begin working on the bracket bolts themselves. After cleaning them up with the brush it looks like the bolt heads were welded to the bracket. I thought this couldn't be, why would someone do that? I get a cold chisel and attempt to knock this bit that looks like a weld bead off the bolt heads and it comes off. I guess it was just a combination of corrosion and old paint. I do my best to clean up the bolt heads and then attempt to remove them. No luck, the bolts won't budge. Several attempts to clean and then remove the bolts with either sockets or bolt extractors over several days failed to budge the stubborn bolts. I finally gave up and decided to call one of the marine mechanics in town, Snyder Marine, to come deal with the issue. Hopefully they had more tools than I and a few tricks to extract the stubborn bolts. This would allow me to continue to work on other projects as I only have a limited amount of time on this trip. The mechanic came out and took a look at the project. He said it would probably take about 10 hours of work if he could get the bolts out with an extractor and he wasn't sure how much longer if "other" methods would be required. The mechanic arrived the following morning to start work. After a short period of time he emerged from the engine room and told me that indeed the bolt heads were welded and that he would cut them off. Unfortunately he forgot his grinder and had to go back to the shop and get it. He returned after lunch and spent another hour cutting one of the bolt heads off and was about half way through the other. Before he left he told me he would go look into the replacement part. Since I had already done the research on the part, I gave him the original part number from the parts manual as well as the number of the part that superseded it. The next day he returned and spent about 40 minutes in the engine room cutting the other bolt head off and freed the bracket. He then attempted to remove the remaining part of the bolts from the engine. He again emerged and this time said he was having problems with his stud extractor and would have to go get a replacement. He returned a couple hours later and within 40 minutes had the now headless bolts removed. The mechanic informed me that he called his supplier and was unable to source the replacement bracket, but had a guy in town that could make me a bracket that would likely be cheaper and better than the original part. I told him to let me know how it would be made and what it would cost and I would decide from there. He responded the next day that it would be constructed from welded stock and painted and would be about half the price of the OEM part. He also said he went ahead and had them make the part, but if I wanted to source the replacement part myself that they could go that route. I went ahead and told him to use the custom part and he said he would be out tomorrow to finish up. I waited for most of that day for the mechanic to arrive, but he never showed. I finally called and was told that he was waiting for the paint to dry. It was a Friday, so he said he would come out the next week to complete the job. It was about a week later when he finally showed up with the part. I took a look at it and it seemed well made, but the mounting holes did not appear to be offset like the original. Sure enough, after about 20 minutes the mechanic confirmed that the holes were in the wrong place and the bracket would have to be remade....but not to worry as I would not be responsible for the incorrectly made part. He would have to go back to the welder and should have the correct part ready to go the following day but with paint it may be the following Monday before it was ready to install. I waited around a couple hours on that Monday and the mechanic didn't show up. I called and was told that the mechanic had the day off but would be out the following day. He did arrive on that Tuesday and this time the holes were in the correct locations. After 20 minutes the mechanic again emerged and told me the bolts he brought were too long and would need to be cut down. He left and came back about an hour later with shorter bolts and completed the job. Given my past experience with "marine professionals" I am always a bit wary of new-to-me service providers. Part of my process now is to track the time spent on a project. In this case, I tracked all the time from when the mechanic arrived at the marina to when he left. The total time spent at my boat came out to 7 hours and 20 minutes. Now, I know that there was some time spent cleaning up the isolator that was removed, talking with the welder about making the bracket, and travel time to and from the marina. I figured that we were still pretty close to the original estimate of 10 hours. At this point I was reasonably happy with the work done, if not the timeliness and communication about when the mechanic would actually show up. Naturally, I received a bit of a surprise when I received the invoice. The parts and supplies charges were all reasonable, but it listed 19 hours of labor. So, in addition to the 7 hours and 20 minutes spent actually working at the boat, they somehow came up with another 11 hours and 40 minutes on the bill. That is a pretty large sum at $109 per hour ($1271 to be exact). Like I said, I expected there to be some time added for travel (shop is 12 minutes away) and work done away from the boat. 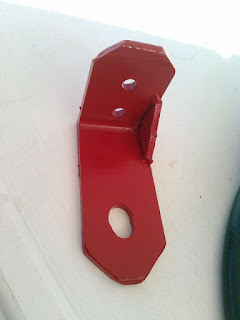 But the idea that they spent more time working on my project away from my boat than actually at the boat in the process of replacing an L shaped bracket was something I couldn't justify. I immediately wrote back and asked if they perhaps billed some time from another project to me and if they would mind reviewing the bill and let me know. It took 6 days for them to respond, and when they did they said they actually had more time on my project than was billed (however, it didn't say what they spent all this time on) but would adjust the bill and send me the update. The updated bill arrived the following morning and they knocked 5 hours off the bill. Still a bit higher than I would like, but close enough so I paid the bill. This was when I received an email from the owner of the company. The email again stated that they had more time on my project than they billed. The only suggestion provided for the extra time was research into the project. Since I did the research and provided them with the part numbers and I was told they called their supplier and was told the part wasn't available, I'm not sure how much more research could have been done. Certainly not 11 hours worth. The letter went on to tell me how busy and how sought after they are. That is all great, but they never did justify the extra time they claim they spent on the project. And given they reduced the number of hours charged, I can only assume that they did recognize that the time was excessive. The email then says they normally don't take on work that someone else has started. Not sure what this has to do with the issue, other than my possibly knowing what the issue is and what it should take to fix. Maybe it is easier to overcharge hours when the customer doesn't have a clue about a problem. Then the note goes on to tell me that the bill is final and overdue. Now remember that I already paid the bill. Looking through my emails, the total amount of time, excluding my time waiting for their response to my question, from the time I received the first bill until I paid the adjusted bill was under 12 hours (and a good portion of that was it sitting in my email while I was off doing other things). Hardly overdue. My initial recommendation was going to be that they did reasonable work and as long as you get firm time commitments, get written quotes, and track the time they spend on your project they might be an OK solution. But add in that final email and it proved to me that they are not very customer focused and were upset at getting caught over billing for hours they could not justify. I do not recommend Snyder Marine in Southport. I'm glad the work is done, but why is it so painful to work with many of the so called professionals in the marine industry? Well, I've been back on the boat at the marina for a couple weeks now. In some aspects it has been nice and in others...well, no so much. As I mentioned, one of the main purposes of this trip was to get some basic maintenance done. 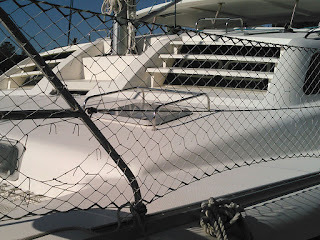 Unfortunately, even if you aren't actively using a boat, there is still ongoing maintenance. In addition to the above-the-waterline cleaning I did a few days after arrival, I've also spent some time cleaning the interior and had divers come out and clean the bottom of the boat and check the condition of the sacrificial zincs. The boat is starting to look a bit more cruise-ready once again. Below the waterline the report from the divers was that everything was looking good, with little other than some soft growth that was wiped away. I guess that bottom job done in Baltimore has performed well and the Petit Hydrocoat is doing a good job at keeping growth at bay. 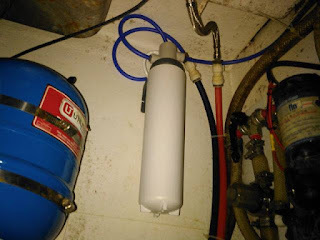 One of my many tasks was to test, sanitize and refill the fresh water system on the boat. When we left the boat we made the calculated decision to not winterize since temperatures generally do not get all that cold for very long in Southport. So, naturally, I arrived just after a once in 50 year cold spell and was concerned there might have been a bit of damage. Fortunately, almost everything survived unscathed. The only loss was a plastic fitting that feeds the main shower's handheld wand. I guess there was a little water trapped in the hose and it managed to freeze and break the fitting. The rest of the system was fine. After the water was drained from the tanks, a sanitizing solution of bleach and water was used to clean the tanks and plumbing. After the solution was circulated and allowed to work for several hours, I drained the tanks and then refilled with fresh water. I then replaced the drinking water filter that we have mounted under the galley sink and the system is again ready for use. Recently The Boat Galley re-posted a write up on water filtration systems. They mentioned 3 basic options for filtering tank water on a boat. What I use is a variant of one of the "at the tap" systems they mentioned but I thought I would note a few things about the route I took and why I think it is a good solution for the average boat. The system pictured above is a full flow filter designed to be used on a home sink. Since the main difference between a home sink and a galley sink is the size of the basin, I figured this would work fine for a boat. You can plumb it to a separate drinking water spigot if you wish (and have the space) or you can plum it directly into the cold water supply line of the galley sink. Not wanting a second spigot in the counter of the galley, I chose the latter. The filter claims it will last approximately 2000 gallons (6 months), and in using one at my prior home on land, I find that to be a reasonably accurate number if plumbed into the sink and it would likely last longer on a dedicated drinking water spigot. Installation is simple using push on connectors. The gray and black part at the top is the only piece that needs to be mounted. Filters are installed and removed with a simple 1/4 turn by hand (no tools required) and water flow is automatically shut off when the filter cartridge is removed, so changing is a snap. The diameter is smaller than the typical cartridge type filter and not having to use any tools makes it easy to mount in an out-of-the way location. The filter and mount are plastic, so there is little concern about corrosion, which is always an issue on a boat. Filters can be found at most big box home improvement stores in the U.S. but may be a bit more difficult to source in out of the way locations. The filters themselves are only slightly larger than the average cartridge filter element, so having a few spares on board will easily cover replacements in excess of a year of use. The units typically sell for around $50 (and filters are around $25), so they are more economical than many of the systems marketed to the boating industry. I've found the filtration to be good, taking any plastic or chlorine taste out of the water and they claim 0.5 micron filtration. Overall I am happy with the performance of this type of filter. Another water related task has to do with the house battery bank. One of the last times we were in Southport our house battery bank started going south and we were in need of a replacement. 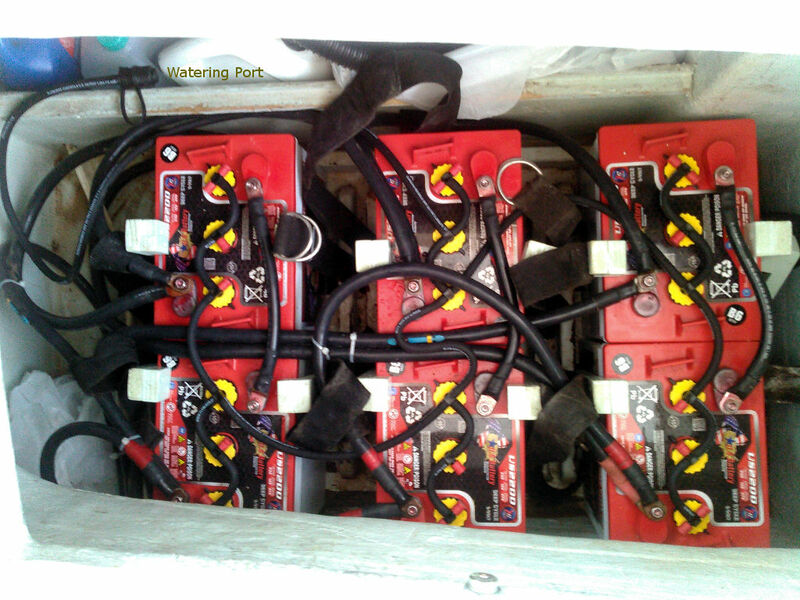 Instead of going with the West Marine AGM batteries, we opted for a higher power and yet more economical solution. We installed a bank of 6 - 232AH 6-volt wet-cell batteries. The entire set of batteries were less than the cost of one of the AGM batteries and we gained about 100 AH in capacity. 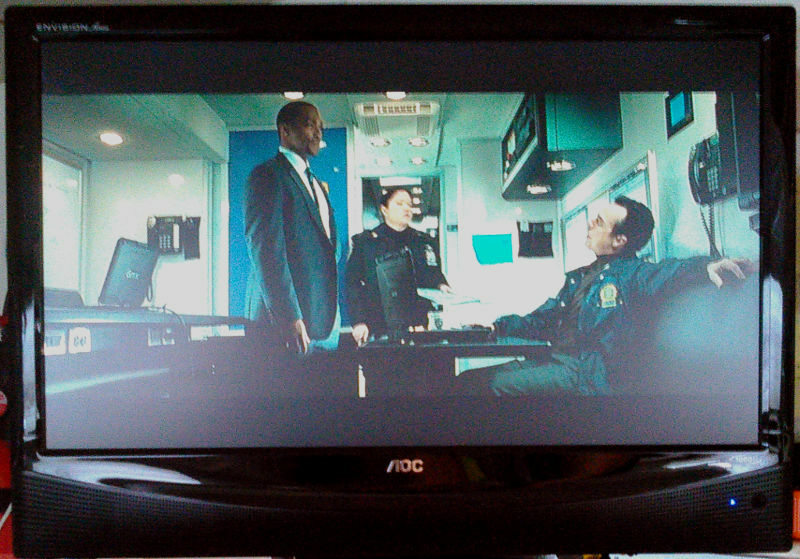 The only down side is that you need to occasionally check and refill the electrolyte level (watering the batteries). Fortunately, with the amount of money saved, it was easy to spring for a watering system that makes this task quick and easy. I've had the caretaker perform this task regularly, but while I'm here I thought I would take care of it as well as inspect the battery bank and perform an equalization charge. I'm happy to report that the battery bank is doing very well and the watering system works like a charm to keep the batteries topped off. The other water-related item on the list was to exercise all the through-hull valves to confirm operation and make sure no growth is causing issues. Not an overly time-consuming task, but still one that I think is worth performing on at least a semi-regular basis. Well I think that covers much of the water-related tasks for the boat from washing to drinking water. Work continues in other areas, but every day the boat is getting closer to the condition she was when we left.